Certified Guaranty Company® (CGC®) is proud to announce the release of a new Marvel certification label depicting members of the Avengers – The Hulk, Thor, Captain America and Iron Man – together in a fight stance. The Avengers adorn the second release of Marvel certification labels as part of CGC’s agreement with the industry giant. The agreement gives collectors the opportunity to have their Marvel comics encapsulated with Marvel-themed labels. The first set was released earlier in March at Chicago Comic & Entertainment Expo (C2E2) and featured Spider-Man, Iron Man, Captain Marvel and Captain America. All Marvel labels released in 2019 will remain available until the end of the year through CGC’s submission process. Each Marvel label, which will be available for a $5 fee, will be offered in CGC’s Universal (blue) label and Signature Series (yellow) label formats. 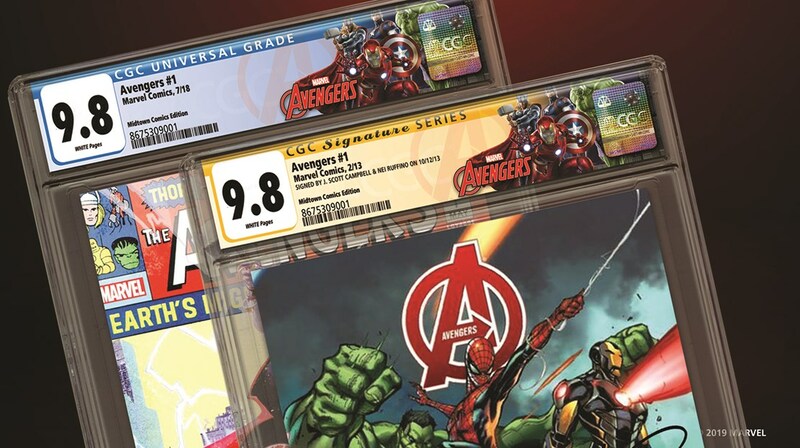 The labels can be selected for any Marvel book that is submitted for CGC’s grading or re-holder services through our online submission form.